With more than a century’s worth of experience, it’s no wonder Lincoln Logs is a household name when it comes to the toy industry. Originated in 1916, these little logs interlock to create various wood structures, most often reminiscent of pioneer cabins. They were invented by John Lloyd Wright, the second son of world-renowned architect Frank Lloyd Wright. Wright took inspiration for the mold based on a hotel in Japan that his father was building. This all boiled down to a need for earthquake-proof structures, which interlocking beams help to create. In 1999, Lincoln Logs found their way into the National Toy Hall of Fame. The toys were initially made of redwood, and continue the tradition of a wood-base today, despite a brief trial of plastic logs in the 1970s. Among the first sets were Uncle Tom’s Cabin and Abraham Lincoln’s cabin. Playsets since have expanded to include animals and people built to scale with the tiny log houses. Easy to operate, these toys are a hit among young builders. There’s room to build your own structures or follow the guides for pre-packed sets. Sturdy, simple, and helpful in facilitating creativity, we highly suggest a good set of Lincoln Logs to any inquiring parents. Below are 10 of our favorites! The Oak Creek Lodge kit is a simple building toy using America’s favorite, Lincoln Logs. This kit includes 137 pieces including real maple wood logs, along with a plastic door, roof eaves and slats, windows, and a cowboy figure with his trusty steed. The kit also has easy-to-follow instructions for three different models. You can build three different types of cabins and two stables. They are easy for children as young as three years old. Parents and grandparents can allow their kids to enjoy the fun of construction as they recreate their own version of the wild, wild west. This comes with easy instructions so kids can look at the box and then build their favorite design. The kit comes with a plastic cowboy and his horse so once your child has built their cabin, they have someone to live in it. Welcome to Horseshoe Station, Wyoming. You can use the 83 pieces to recreate the famous stop along the Pony Express Trail. The kit includes authentic stained maple wood, a roof, door, flag, cowboy, and horse. Kids can have fun building a variety of cottages and horse stables. Lincoln Logs will help kids polish their analytical skills and their imaginations. They can either use the instructions to build the structure pictured on the box, or they can be creative and make their own designs. Playing with the blocks and practicing building will help teach them how construction works. These blocks are designed for kids three years old and up, and are easy for little hands to hold and stack. Lincoln Logs are a classic toy. Four generations of family can enjoy building memories together. Celebrate 100 years of awesome building fun with this classic tin which reminds us of the brand’s true essence. The kit is inspired by one of the original Lincoln Log designs called the “Meeting House.” Brings kids some good old fashioned happiness while bringing parents some smiles as well. The enclosed manual has building ideas for three different designs: a tall tower, two houses with a bonfire or a large cabin. Kids can follow the instructions or let their imagination run wild and come up with a design of their own. This kit comes with 111 pieces including the high-quality maple wood pieces, roof pieces, walls, roof chimney, porch, fence pieces, and bonfire including seats. It is a quaint touch to have the 100th-anniversary kit be designed just like one of the original Lincoln Log designs from 100 years ago. The Lake Union Lodge model is designed to resemble historic wooden lodges from the old days. The set is made from stained maple wood for a nice authentic feel. It also includes durable plastic roof pieces and a mill worker figurine to inhabit the lodge once it is done. This is a great way for kids to improve their learning skills and develop their imagination. The blocks are easy to stack and will help them with critical thinking as well. This kit has step by step instructions, easy enough for young kids to understand and follow. They will be encouraged to test their skill and build their self-confidence. We find it handy that this kit comes in a sturdy box for easy cleanup and storage. The Collector’s Edition Village is a perfect set of Lincoln Logs for a large family, with 327 pieces included. They will enjoy hours of creative fun with these beautifully crafted pieces. It all comes in a classic tin for fast clean-up and easy storage. The kit includes step by step instructions for three different buildings or you can just turn all the kids loose and let them create their own. Lincoln Logs will help them improve fine motor skills and have been tested for quality and safety. Lincoln Logs are beautifully crafted of real maple wood which is stained to give the full effect of belonging on a log cabin. The beautiful classic tin is a nice touch and makes an attractive place to keep their toys when they are not being used. Ideal Frontier Logs work to foster basic building techniques and exercise for little imaginations. This set includes 280 building pieces, 20 figurines, and instructions in a reusable box. Ideal is a company which has been loved and trusted by parents for over 100 years. Their pieces are made of hardwood with a paint-free finish. The wood is stained with vegetable-based food coloring and lastly completely sealed with a special wax called paraffin. The miniature logs are simple to handle and lock together for easy assembly with small hands. The kit also includes classic figures from the to add to the fun. This is a good-sized set which has lots of pieces for endless building possibilities. Kids will enjoy hours of fun. Included in this set are 20 figurines, little cowboys, and Indians who can battle and carry on the imagination around the buildings kids create. With 114 classic pieces, this Frontier Logs set is the perfect kit for children looking for a little challenge. The set includes 102 logs, 12 assorted wood pieces, a reusable storage box, and an instructions manual to help kids build structures of their own. Building kits stimulate basic construction techniques, challenge motor skills, and enhance the imaginations of little ones. With varied sizes in the interlocking logs, this set gives children the chance to explore lots of different blueprints and builds. They’re easy to assemble, even for little hands still working out coordination. Six planks, a chimney, two triangular wall pieces, a sign holder, and a cardboard sign make up the additional assorted wooden accessories. Kids can build houses, shops, forts--whatever their imagination can conjure up! Building toys help children with basic problem-solving, logic skills, dexterity, hand-eye coordination, and the ability to follow directions, as well as teaching them the basic principles of building. Once their structures are complete, their other favorite toys can come to play and engage in some role-playing! These are lightweight, durable, and easy for kids to figure out. They’re compatible with the original Lincoln Logs, they just fit a bit more snugly, but that can add to the stability of a structure rather than detracting from it. The Centennial Edition tin celebrates 100 years of memories with Lincoln Logs. 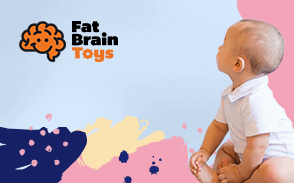 These toys are fun and educational for kids ages 3 and up. Enjoy the classic feel of 153 pieces of stained maple. This set also includes colorful roof pieces, two cowboy figurines, and their horses. There are instructions for three different builds: a cabin over a waterfall, a huge homestead or a whole town. The retro style tin is decorated with product drawings. Let the kids help you clean up after playing. They love the sound of the tin as the toys bounce off the bottom, and this will teach them to keep organized. Lincoln Logs are fun to just build from your imagination but if you are out of ideas this kit comes with directions for three really nice builds. These blocks make a fun educational tool for preschoolers. They can learn math, building and practice their fine motor skills. Your child will be blasted into the past with the Shady Pine Lincoln Log set. They will be thrown into the world of log cabins and horse-drawn carriages as they follow the step by step instructions to build their own home. The slanted roof and chimney will allow them to get the full experience of what it was like to live in the old west. A farmer, tree, white horse, and wagon are also included in the set. The added accessories not only add to the fun but encourage your child to use their imagination and engage in pretend play. You won’t have to worry about stepping on a lincoln log as the bucket serves as storage for the 121 pieces when they are not being played with. While this set does include instructions on how to build the homestead, it still encourages children to come up with their own creations. With every new creation they build, they will be stimulating their cognitive development as well as increasing their problem-solving skills. Whatever your child decides to build, the real wood pieces guarantee that it will be sturdy and stable. Your home can remain free from clutter as the container serves as a storage space for your child’s logs. Keeping all of the pieces inside the container will also keep your child from losing any. With more than 50 assorted pieces, this classic Lincoln Logs set creates the Forge Mill Cabin. Each log is stained to look like true cabin wood, and the scaled cowboy toy really takes the set back to the Wild, Wild West. Lincoln Logs are an essential STEM toy for any building enthusiast or little cowboy/cowgirl. Proven to help develop imagination, critical thinking, problem-solving, and analytical skills, this building set is best suited for preschoolers. Lincoln Logs test to the strictest qualities in safety standards, ethically source their wood from certified forests or forestry-managed timberlands and guarantee customer satisfaction. Easy building and easy clean-up are hard selling points on toys for young ones, and America’s National Toy promises both of those benefits and plenty more. Building sets like Lincoln Logs help boost spatial awareness, hand-eye coordination, fine-motor skills, analytics, problem-solving, critical thinking, and imagination! Who knew so much fun and functionality could be packed inside such tiny little logs? They’re small, but mighty. This set is meant to build a singular cabin for the little cowboy, and if structured correctly, he’ll fit right inside! It’s a cute starter set for little ones figuring out Lincoln Logs, who might be overwhelmed by big sets and lots of building options. Lincoln Logs are one of America’s best-loved toys, especially for large families. Kids will have fun building together and learning to work as a team, working with each other’s strengths and weaknesses to create the perfect masterpiece. Most of us remember building all kinds are elaborate architectural marvels that our parents would swoon over, only to knock it down and start over. Imagine the kids looking forlorn, watching out the window and watching the rain come down. You dump a box of Lincoln Logs out on the floor and the scene will change. Kids love the challenge of seeing who can build a better structure. Let the creativity begin! Lincoln Logs have stood the test of time, continuing to entertain kids of all ages for over 100 years. Parents and grandparents can share fond memories and play together to build new structures. America’s favorite logs were invented by John Lloyd Wright, whose father was famed architect Franklin Lloyd Wright. He grew up with an interest in architecture as well and designed these toys which would pass on his love of building to kids. The original sets came with instructions to build Uncle Tom’s Cabin and the cabin Abraham Lincoln was born in, and other sets featured pioneer -tyle buildings. These could also foster a love of history, learning the stories behind what they were building. Purchasing Lincoln Logs really is an investment in your children’s development and education. Not only are they fun to play with, but they are beneficial as well. Lincoln Logs help children develop motor skills, analytical thinking, hand-eye coordination, and problem-solving skills. They teach kids how to follow instructions or let them exercise their imaginations by striking out on their own project. Lincoln Logs also introduce kids to STEAM (science, technology, engineering, arts, and math) concepts. There are so many reasons Lincoln Logs make the perfect toy for kids, besides being educational and inspirational. They are truly timeless, a sturdy toy you can buy and literally continue to play with for generations. Get numerous sets and add them all together, building the collection and the children’s possibilities for things to create. Lincoln Logs are fun for kids from 3 years old and up, and are not dangerous since they do not have sharp edges and are colored with non-toxic stain. They are even easier on bare feet if you step on them. The log sets are great gifts because you can buy a set and then keep adding to it as more holidays go by. Kids will love the hours of fun. Lincoln Logs can be played with indoors or outdoors and mixed with other toys like erector sets, Tinker Toys, a train depot for a train set, garages for Matchbox cars or homes for cowboys and Indians. Kids can use them over and over, and for years and years. These classic toys have been entertaining children and stretching imaginations for more than a century, with no sign of slowing down yet. Q: What kind of wood do they use to make Lincoln Logs? A: They used to be made of redwood when they first came out but redwood had splinters. Now they are made of maple. Maple is hypoallergenic, sturdy, and will last generation after generation. Quality maple wood is also beautiful when finished properly. Q: Are Lincoln Logs safe if the baby puts them in their mouth? A: Not that we recommend chewing on them, but they are splinter-free so baby will not end up with slivers in their mouth. They are also colored with nontoxic stain so they are fairly safe. Q: Are Lincoln Logs only made for boys? A: We have found that boys and girls love building with them. Q: Were Lincoln Logs the original building toys? A: No, there were already a variety of wood building blocks. Tinkertoys and Erector Sets were also introduced a few years before the Lincoln Logs. Q: Do Lincoln Logs come in different sizes? A: The diameter of the logs is all the same, but they come in different lengths with notches at certain spaces along each log. Q: How can Lincoln Logs improve math skills? A: Let kids build a structure and then measure it to see how long and wide it is. They can see how long an inch is, or if they are older they can learn how to calculate the area.